After a few months of hiatus we are back in the mommy/Lyn's channel! This time I wanted to do a review on a Baby Tooth Album that I have been using for Little Lyn's teeth. This is something I got after she lost her first tooth and it's a perfect way to store and organize all her little teeth! 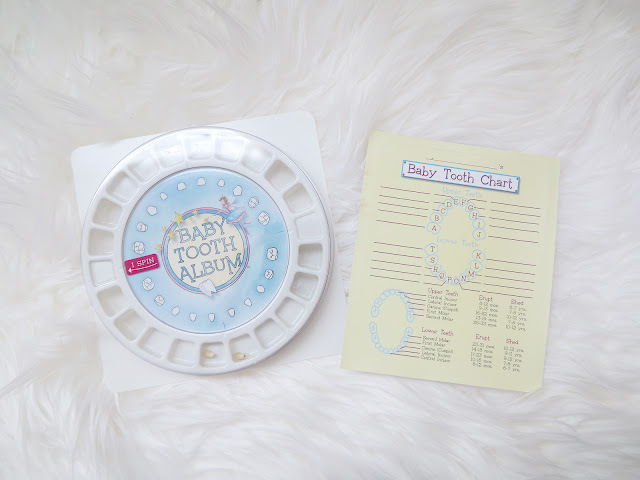 The Baby Tooth Album is about $10 but if I were to get it again I would just go for the Complete Tooth Fairy Kit which is about $25 and it brings the wheel, chart, door hanger, tooth pouch, and a blank letter. The Baby Tooth Album Flapbook seems like another great options since it has magnetic flaps and this one is about $15. Personally I think you get more value out of those. 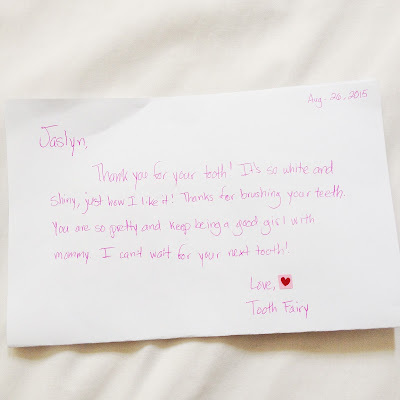 In the mommy/Lyn's channel we also shared a video 'First Loose Tooth and the Tooth Fairy Letter!' in case you want to check it out. I also have a Pinterest board with Tooth Fairy ideas for letters or different ways to give money. You can see my example above. Thanks for passing by and until next time! I had never heard of such a thing! I have kept my boys teeth in a mini treasure chest but most have been thrown out. It just seems a bit gross to me to keep them. My twins have lost about 3 teeth each. I was wondering what to do with them. I need to check this out. Thanks! Such a cute idea! My oldest will be losing teeth soon, and this would be a great way to keep them.